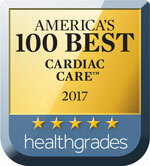 Southcoast Health has a specially trained team of interventional cardiologists and specialists who perform angioplasty in Fall River, MA in our state-of-the-art cardiac catheterization lab at Charlton Memorial Hospital. 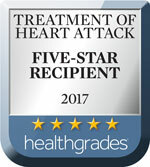 Our outcomes with angioplasty and stenting are excellent, and we have been nationally recognized for the care we provide to patients with this condition. Coronary angioplasty and stent placement is a catheter-based procedure that opens blocked arteries in your heart, which can lead to a heart attack. It is also known as percutaneous transluminal coronary angioplasty (PTCA), percutaneous coronary intervention (PCI) — including rotational, orbital and laser atherectomy — or balloon angioplasty, or coronary stenting. Angioplasty is almost always combined with a stent placement. During an angioplasty, a catheter is guided from your arm or leg to the blocked blood vessel. Then, the balloon is inflated gently, widening the blocked artery. This opens the blockage and restoring blood flow to the heart, preventing further blood clots and clogged arteries. A stent, which resembles a tiny, flexible scaffold, is often left in place to help prevent re-blockage. After the artery is stretched, the balloon is deflated and removed. 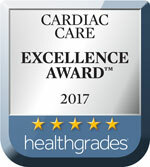 Our cardiac interventionalists at Southcoast Health perform more cardiac catheterizations than any community hospital system in Massachusetts. You can trust our experts with your health, as we use the latest technologies and techniques without the need for a second procedure. If you are looking for a way to improve your heart health or would like to learn more about angioplasty, find a cardiologist near you and schedule an appointment today. Southcoast Health offers angioplasty and stenting to patients right in their own community in Fall River and New Bedford, MA.